Voyage de la Vie TM is the upcoming resident show of Resorts World TM Sentosa. The first circus theatre spectacular ever to be created in Singapore, it presents an international cast of circus stars brought together from 16 countries. The show chronicles the travels of a young man who is on a journey of self-discovery as he experiences love, temptation, life and loss. 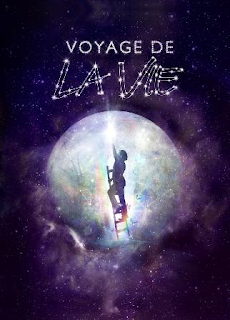 Prepare to be blown away by pulsating live music, a kaleidoscope of dazzling colours and boundless energy, Voyage de la Vie is a cutting-edge performance art form. Combining Eastern- and Western-inspired artistic representations on stage, a world-class production of its kind is long overdue in Singapore. Frequent theatre-goers will also be amazed. Voyage de la Vie debuts at Resorts World™ from 17 June 2010, with nightly performances at its purposed-built 1600-seat Festive Grand Theatre. A 15 percent early bird discount will be exclusively extended to DBS / POSB credit & debit card members from 1 April onwards. Genting Rewards Card members will be entitled to a 10 per cent discount and RWS Club members are entitled to 5 per cent off. Students, Senior Citizens & Full Time NSF‟s – 10 per cent off. Weekend family special for children below 12 will be 30 per cent off. No admission for infant in arms, child between 2 - 3 are allowed entry without ticket. Child 4 years old and above must purchase ticket for admission.